There isn't a spider in the pic, I'm wondering what spider made the webs. They're strong sheet or funnel webs attached to the roots of a fallen tree. The habitat is tropical, wetlands, hardwoods. All plants are native to Florida. 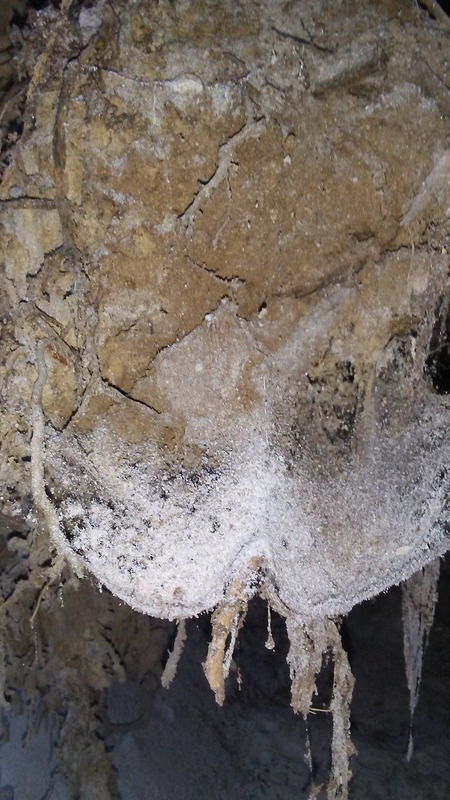 The soil is mostly sand and the web is covered in sand. That’s an awesome picture. No idea what made the web though… sorry. Thanks! When I was a kid my parents brought me to the Everglades. I have strong memories of big heavy spider webs like this. If you go to the Orlando area I highly recommend this nature preserve! It has thousands of years of human archaeology plus expert scientists did everything they could to put it back to what Florida would be like without human influence. It is a primitive tropical desert island, very cool experience!